please start this mix at 20:58:'50 hrs for countdown to 2017..!! 23.XYE vs.Grand Master Flash - ? Fantastique 80'S set !!! Thank you for Blue Monday, New Order...Best track ever !!! Merci pour le partage Sandmann !!! The best for you in 2017 !!! It would be better to start at 20:58'50 because the countdown is a little late in this one. But a very great mix, also sounded good today. 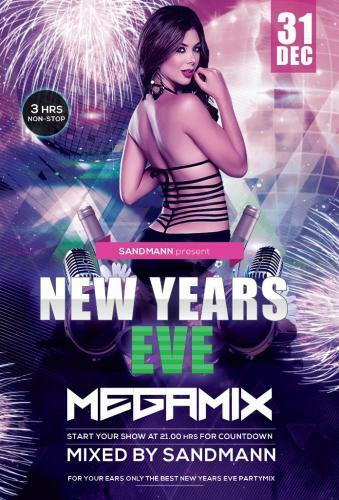 Thnx for this party mix, perfect for an awesome newyear party, will start it at 21.00 hours !!! and i wish you a good 2017 !!! Like mister BEAT_FREAK say's start your mix @ 20:58:'50 have a good 2017 everybody!